63-year-old Sergei Mavrodi, the founder of the main financial pyramid of the 1990s, died in Moscow hospital, Moskovsky Komsomolets reported. According to the preliminary version, the cause of the death of the businessman known for his frauds is a heart attack. According to the edition, on the night of March 25 Mavrodi was hospitalized from a bus stop located at Polikarpova Street. An ambulance was called by an accidental passer-by after Mavrodi complained of weakness and pain in his heart. After the arrival of the doctors Mavrodi was hospitalized in the city hospital No 67. The doctors could not save him, so he died this morning. Sergei Panteleevich Mavrodi is a Soviet and Russian fraudster, the founder of MMM , which is considered the traditional and largest financial pyramid in the history of modern Russia. According to various estimates, from 2 to 10 million people were affected by MMM's activities, they lost about 3 billion rubles ($52.5m). In 2003, he was convicted of fraud on an especially large scale in Russia. 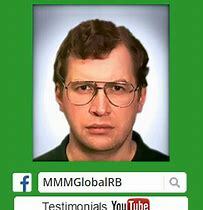 10.454 people were recognized as affected within MMM case.